When writing this quick Micca Speck review I was amazed at how atypical -yet useful- this device seems, when analyzed. Usually we have covered in this website media players that are more like full-featured Android computers, where apps such as Kodi for Android can run. Among these devices we have small ones like the Tronfy MXQ Android media player, or full featured machines capable of smooth video playback and even gaming, such as the NVIDIA SHIELD TV. None of these devices fit on the mini media player category, though, where the Micca Speck media player shines with its own light. The Micca Speck comes with a remote included. Although most modern media players are fully featured with an operating system capable of performing other tasks, such as browsing the internet or even playing games, it is worth noting that their main feature should be playing media in a reliable and smooth way. 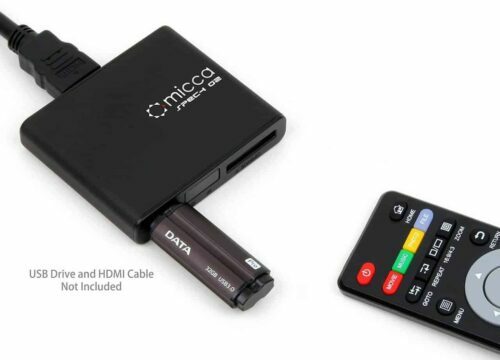 In this regard, during our Micca Speck review, we noticed that this device plays virtually any format you throw at it, from an USB thumb drive or hard drive, or even from an SD card. 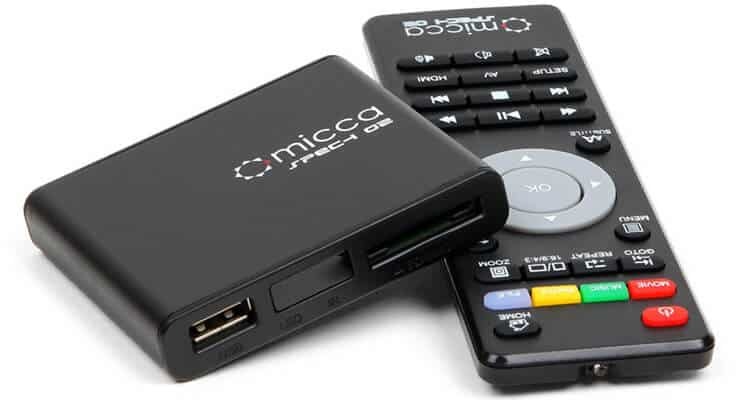 While doing so, the Micca mini media player supported other features such as internal or external subtitles, and random playback from your available media, which might come in handy if you don't know what to watch. The technical specifications on this device tell us about a very capable USB media player, easy to work with and carry around. 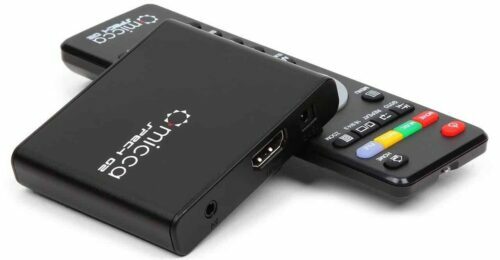 This mini media player does not include an HDMI cable, so better be prepared for spending a little bit extra cash if you do not have one. Micca Speck review: do you recommend this device? 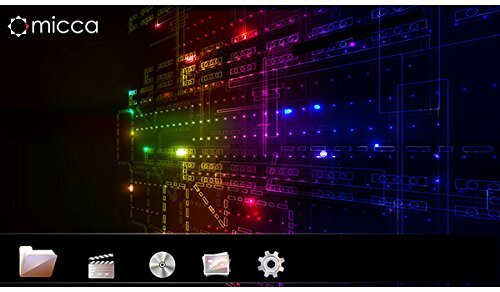 The interface used by the Micca Speck media player is colorful and well-designed. For less than 40 bucks, the features this media player offers are solid and hard to beat in its own category. The fact that almost no setup or configuration is needed to play your files from an external storage makes it ideal for people who might not be tech-savvy or want to bother with a lengthy customization process. The interface is well designed, although you might be a bit disappointed if you want to install apps on it, because this is just not that type of device -in this case, you might be better off buying a media stick-. I would say the Micca Speck covers a very specific user niche, and might be useful in certain situations, however, if you want the full media center experience, perhaps you might be better off investing on something else.